England's Golf Coast with three world-famous Royal courses, that also happen to be in the British Open rotation, and sixteen other naturally challenging links courses for you to play. 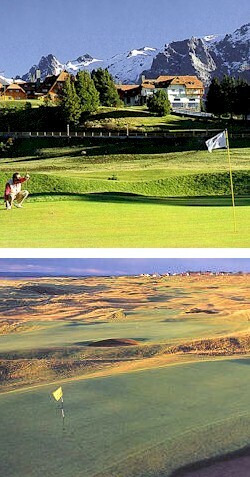 Stay in Southport or Liverpool and have easy access to Royal Liverpool, Royal Birkdale and Royal Lytham & St. Annes as well as other popular golf courses such as Formby Golf Club, Wallasey Golf Club (home of the Stapleford Scoring system), Southport & Ainsdale Golf Club, Hesketh Golf Club and many others. If you have played Scotland, it is time to try England. In fact, combining the two is easy and will give you the ultimate golfing experience. If travel through London then the counties of Surrey & Kent are nearby and contain an incredible number of quality golf courses, wonderful accommodations and loads of sights and history. Between the well known Royal St. George's and lesser known Royal Cinque Ports and Prince's Golf Club are shared 17 Open Championships and some of the best Links golf in England or Scotland. You also have easy access to other fine courses such as The Grove, Foxhills, Walton Heath, St. George's Hill, Wenworth and Sunningdale Golf Club. Play three British Open Courses and two other jewels of English golf.